Poster of Ursus arctos. Brown bear. The photo was taken in Slovakia. The brown bear is found throughout Europe. 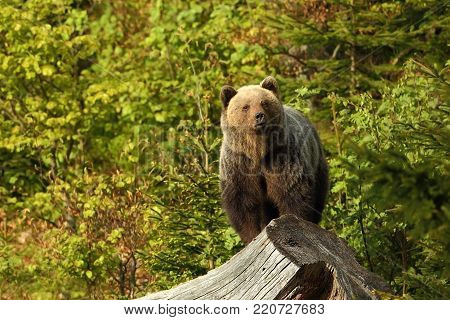 Beautiful bear image. Nature of Slovakia. Wild nature. Free nature. From the life of the bears. Nature. Forest. Autumn nature of Europe. Europe.